A couple of weeks ago I gave two presentations on Customer Experiences with Soul at FCE Pharma and FCE Cosmetique, the largest expo in Latin America covering pharmaceuticals and cosmetics. I spoke about purpose, values, authenticity and also showed how authentic and sustainable businesses could be modelled using the flourishing business canvas. I began my talks by discussing Joseph Pine and James Gilmore’s classic article Welcome to the Experience Economy published in Harvard Business Review in 1998. I also discussed new research from Barclaycard in the UK which shows that people are continuing to spend less money on buying things, and more on doing things, and that businesses are now rushing to adapt. The major difference between the experience economy of twenty years ago and today is the emergence of social media and the way in which people are sharing their experiences online. 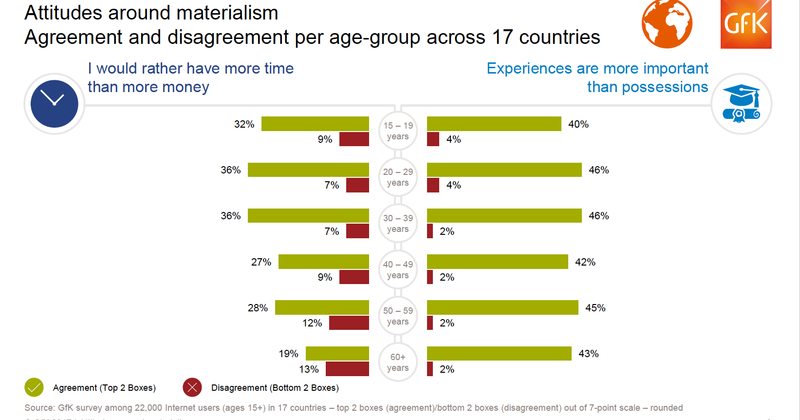 It was therefore interesting today to read a new report from GfK which indicates that millennials believe that experiences are more important than possessions in greater numbers than older and younger generations. Millennials are roughly those ages 20-39. GfK interviewed in summer 2016 more than 22,000 consumers (aged 15 and older) in 17 countries online. Respondents were asked to indicate how strongly they personally agreed or disagreed with each of the following statements, using this scale where “1” means “disagree strongly” and “7” means “agree strongly.” Select one answer for each item. These changing patterns from consumption to experience have major implications, not just for retailers but for our current economic model. Those businesses who will flourish in the future will be the ones who really understand experience at a deep level – and for this reason Maria and I developed our framework we call Customer Experiences with Soul. 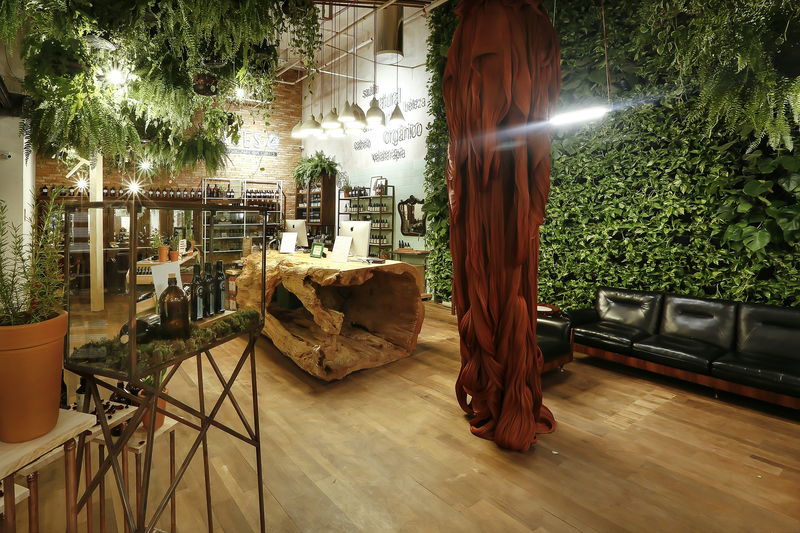 A really excellent example of customer experiences with soul in practice comes from São Paulo. Cris Dios is a Brazilian cosmetologist and entrepreneur who for thirty years has been championing natural hair care and the concept of slow beauty in Brazil, first in 1987 with the opening of the first Laces and Hair beauty salon, and then more recently with the launch of Cris Dios Organics, her line of natural hair care products. 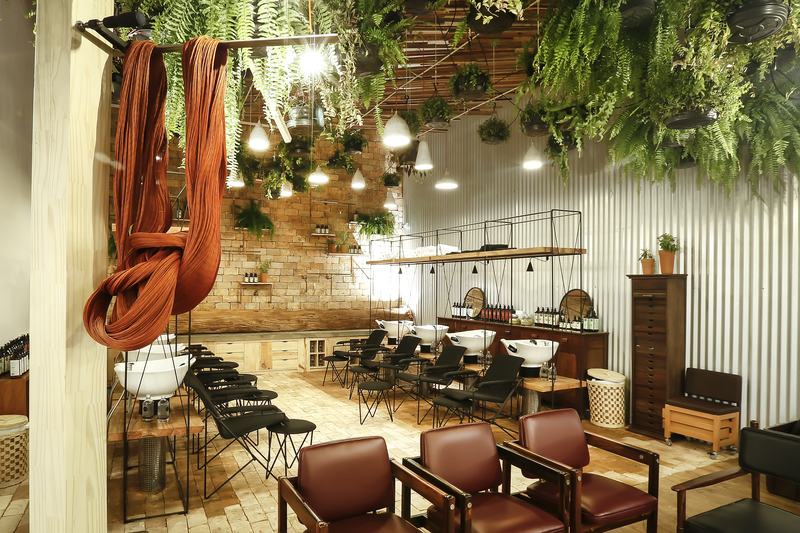 This week saw the opening of Laces and Hair’s new hair spa, Bioma Laces, which has been constructed inside the Villa Lobos shopping centre, situated next to Villa Lobos park, one of the major recreational parks in São Paulo. The specialist architectural elements would not have been possible without the contributions of architects Marcelo Bicudo, whose signature designs are in two other Laces and Hair projects, and Juliemy Machado. The design approach to Bioma Laces perfectly encapsulates the notion of the relationship between the whole and the parts which we write about in Customer Experiences with Soul. Cris expressed this sense of wholeness by explaining that “The plurality of those involved in the project assured me that the Laces experience would be perfectly delivered”. The hair care philosophy of the spa and idea of “slow beauty” follows in the footsteps of the slow food movement. The focus is not on creating a momentary hair style for when the client steps out of a beauty salon, but in teaching clients how to care for their hair at home. So from a customer experience perspective, every single part of Laces and Hair, the people, the products and the environment all have to belong together to enable the expression of the essence and soul through the experience overall. If we really wish to create new businesses which are authentic as well as sustainable, we need new ways to model them in a systemic manner. For this reason I discussed the Flourishing Business Canvas. I am a member of the Strongly Sustainable Business Model Group which is based on the Strategic Innovation Lab of OCAD University in Toronto, Canada. This group has been developing this canvas for three years, which is an evolution of the business model canvas. Our company Holonomics Education is now introducing the Flourishing Canvas to businesses both in Brazil and in other countries too. A traditional business model describes how an organization creates and delivers financial value. The Business Model Canvas created by Alex Osterwalder brings together the value proposition, customer segments, customer relationships, channels of contact with the market, resources, activities and partnerships. These result in costs and revenues. 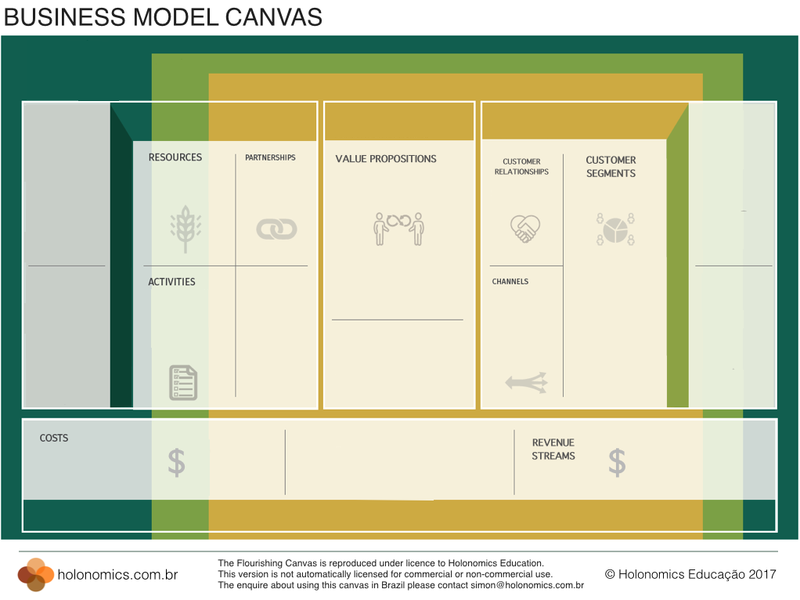 The benefits of Business Model Canvas reside in being a visual tool that with nine questions defines a Profitable Business Model, emphasizing the financial dimension. In the case of Flourishing Business Canvas the objective is to define a Sustainable Business Model considering two other dimensions, the environmental and the social as well as the financial. Thus, there are sixteen questions which systemically describe a sustainable and authentic Business Model. The Flourishing Business Canvas provides a common language for describing and designing enterprises with a diverse range of stakeholders and goals. It builds an understanding of interconnections of the organisation, its products and services with its communities and the world: Economically, Socially, Environmentally. 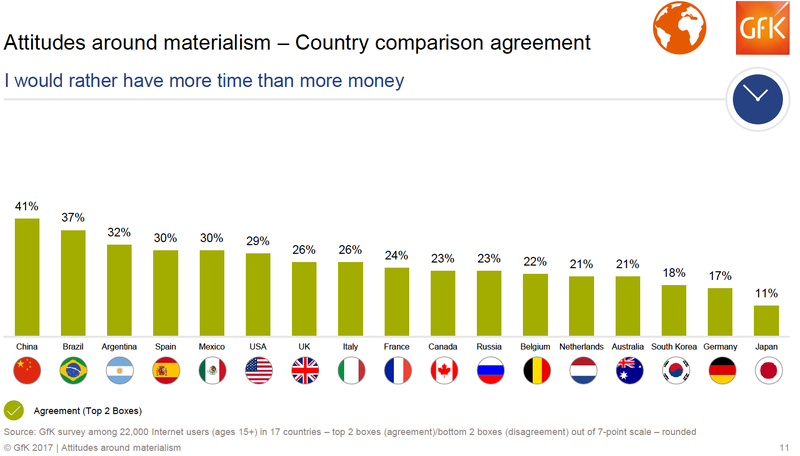 It enables broader, deeper and richer conversations about all aspect of value co-creation (and destruction). And it provides the context to enable stakeholders to collaborate around shared goals informed by their values – enabling teams to align on key strategic decisions. Rather than focus on financial results, an interesting aspect of the Flourishiong Business Canvas is the fact that the higher purpose of the company canbe fully stated in the Goals section. So for example, for Laces and Hair the purposes are develop inner beauty and self-confidence in women, and support social and environmental causes, one example of which is their manifesto for women which I have previously written about in my article Stereotypes, Blame, Guilt and Fear. Provide good working conditions for every worker who sews. We can place these in the Goals section of the canvas. These goals articulate the main purpose and ambition of the company and are the organisation’s definition of success. It is those companies who are fully able to articulate these goals and also live them authentically which manage to connect with the younger generation especially who are now looking for more than just meaningless and relentless consumption. Nowadays people do not just want to buy something, they want to believe in something. Ensure that your executive team fully understands the implications for the shift from the service economy into the experience economy. Start to use business modelling tools which have their basis in systems thinking and which provide an expanded understanding of an enterprise within the wider context of society and the environment. Understand that the whole organisation is responsible for delivering a customer experience with soul. Look for authenticity in everything you do. As we say in our new book, the most disruptive word we can use in innovation is ‘soul’. 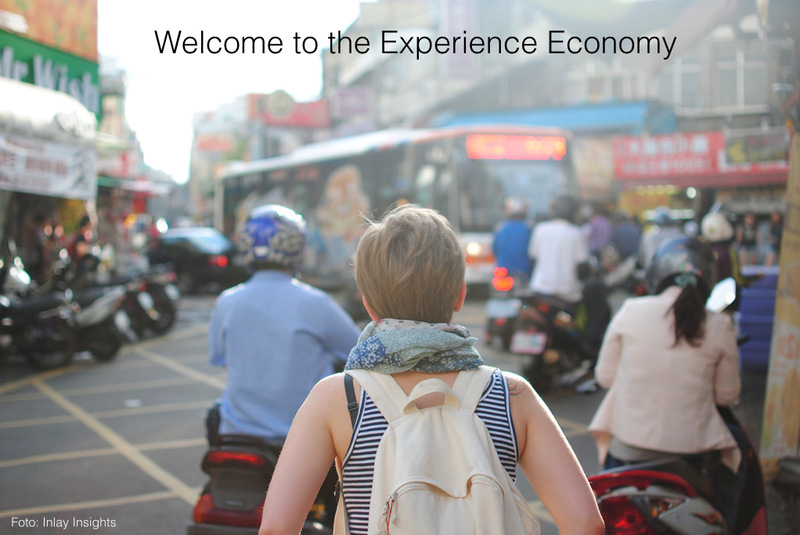 The experience economy has now arrived, and so now more than ever before companies need to understand experience, not just in terms of what their customers are experiencing, the customer journey, but our essential experience of being, what it means to be human. Businesses and organisations which really get this are those who will flourish in the years to come. Thank you Simon – Conscious.Travel is all about shifting the focus and purpose from growth to flourishing and regeneration. This article should inspire members of the travel and hospitality community. If you can apply the principles of flourishing/regeneration/nature-based business to a hair styling company located in a shopping mall, providers of travel and hospitality providers should have plenty of opportunities to do so. The emergence of “Transformative Travel” is sign that the next step on Pine and Gilmore’s progression from Commoditization has just begun. I really like your adaptation of the Business Canvas and would like to speak with you directly on that. Hi there, I read your blog named “Putting the Soul into the Experience Economy | Transition Consciousness” like every week. Your story-telling style is awesome, keep up the good work! And if you are interested in other sites you can look my website about rosszlanyok http://www.daddyescorts.com/hu. Thank you for experience! Have a great day my friend!